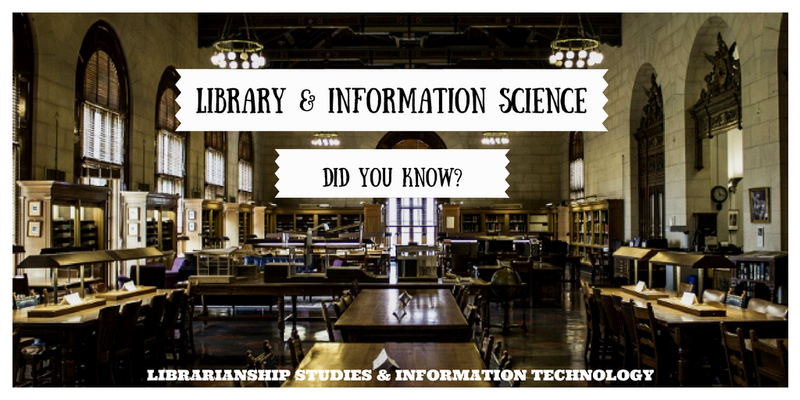 LIBRARIANSHIP STUDIES & INFORMATION TECHNOLOGY: Library and Information Science - Did You Know? DID YOU KNOW IN LIBRARY AND INFORMATION SCIENCE? Important information and facts to remember covering all the areas of Library and Information Science, Librarianship Studies and Information Technology related to libraries and library management. This collection of pieces of information in LIS will act not only as a ready reference knowledge bank on Library and Information Science but also be a good tool for appearing in the competitive exams and interviews and keeping updated with the new knowledge for LIS professionals all around the world. Did you know in LIS mentions and links to important information and facts which are provided as answers to the questions given in the article Library and Information Science Questions Answers Quizzes. A Featured LIS - Did You Know? appears first with a link to the original blog post for the question. A syllabus is provided then, which divides the whole LIS field into XI units. This is followed by Libary and Information Science - Did You Know? which are grouped under different units. Top 10 Facts Did You Know in Library and Information Science (LIS)? Library Associations OrganizationS at International Level--FID, IFLA, and UNESCO, etc. Library Classification Schemes--DDC, UDC, CC, LCC, etc. Library Cataloguing Codes--CCC, AACR-II, RDA, etc. National and International Information Systems--NISSAT, NASSDOC, INSDOC, DESIDOC, INIS, AGRIS, MEDLARS, INSPEC, etc. Role of UGC in the Growth and Development of libraries and information centers in institutes of Higher Education in India, Raja Rammohun Roy Library Foundation (RRRLF). Miscellaneous topics in LIS not covered by contents of Units I-X. 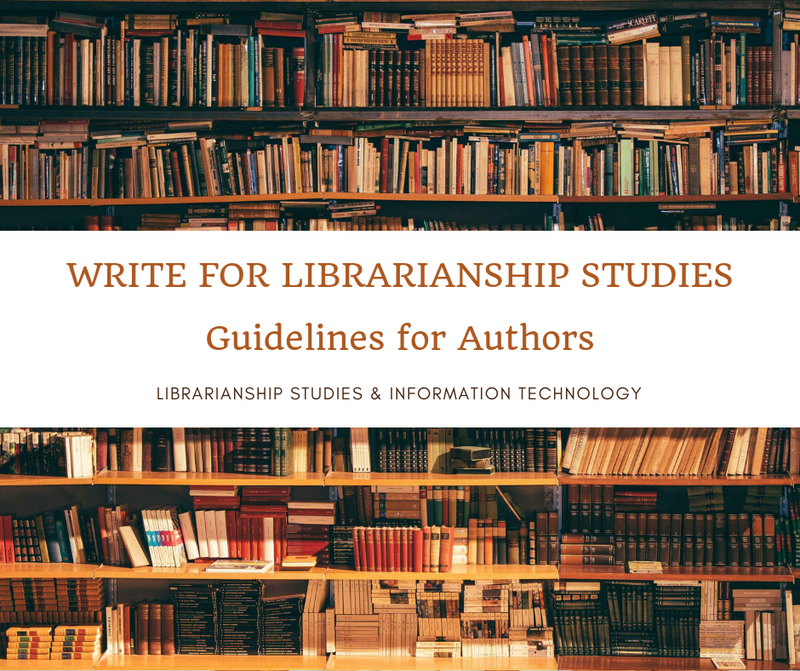 Click the questions to view Librarianship Studies & Information Technology blog article of the question with the answer and further study references. ... that the Raw Facts and Figures are Called Data? ... that When raw data are processed and converted into meaningful form then it is referred as Information? ... that information is a product of different types of human activities and events? ... that Five laws were first published in Ranganathan's classic book entitled Five Laws of Library Science in 1931? ... that Five Laws of Library Science are called the set of norms, percepts, and guides to good practice in librarianship? ... that Dr. S. R. Ranganathan categorized/classified documentary sources of information into Conventional, Neo-conventional, Non-conventional, and Meta documents? ... that Ranganathan defined Reference Service as "A Personal service to each reader in helping him to find the documents answering the interest at the moment pin-pointedly, exhaustively and expeditiously? ... that The acronym FRBR stands for Functional Requirements for Bibliographic Records? ... that FRBR is neither A Content Designation Tool, neither A Data Model nor a Cataloging Code or Standard? ... that FRBR describes 3 entity groups? ... that the names of FRBR Group 1 entities are Work, Expression, Manifestation, and Item? ... that Work is the entity defines a distinct intellectual or artistic creation? ... that WEMI is the initials used to describe the 4 elements of FRBR Group 1 entities? ... that the term Expression, as used in FRBR/RDA, is The intellectual or artistic realization of a work in the form of alpha-numeric, musical or choreographic notation, sound, image, object, movement, etc., or any combination? ... that Manifestation is the entity defines the physical embodiment of an expression of a work? ... that The term Item, as used in FRBR/RDA, is A single exemplar or instance of a manifestation? ... that Work is defined as an "abstract" FRBR entity? ... that Item is defined as a "concrete" FRBR entity? ... that Expression is the FRBR entity which describes a French translation of: The Lord of the rings? ... that Manifestation is the FRBR entity which describes a DVD of the movie version of Gone with the Wind? ... that Work is the FRBR entity which describes Lords of the rings by J.R.R. Tolkien? ... that Attributes, Entities, and Relationships are three components in an entity relationship model? ... that Attribute is defined in the FRBR model as: A set of characteristics which serve as the means for users to identify a particular entity? ... that Attributes which identify the FRBR entity Work are: Title, Intended audience, Form of work, and Date of work? ... that FRBR entities identified by the attribute characterizing medium of performance for which a musical work was originally intended are: Expression, Work? ... that The language in which Pride and Prejudice was written is Expression? ... that FRBR entity identified by the attributes characterizing regularity and frequency of issue for a serial is: Expression? ... that A performance of Beethoven's 9th Symphony is an attribute of the FRBR entity: Expression? ... that The designation of volume/issue/date of a serial (e.g., volume 1, number 1 (September 2010)) identifies the FRBR entity: Manifestation? ... that A Statement of Responsibility identifies the FRBR entity: Manifestation? ... that An edition/issue statement (such as Voyager version 7.2) identifies the FRBR entity: Manifestation? ... that Publisher/Distributor/Manufacturer are attributes of the FRBR entity: Manifestation? ... that The webcast (physical carrier) of Barbara Tillett's presentation "FRBR: Things you should know but are afraid to ask" is NOT an attribute of the FRBR entity Expression? ... that An LC bar code as an identifier is an attribute of the FRBR entity: Item? ... that An autographed copy from the Library's Walt Whitman Collection identifies the FRBR entity: Item? ... that Out of the International Cataloguing Principles, the principle "Convenience of the user" comes first and should always be kept in mind when providing bibliographic descriptions and access points? ... that James C.M. Hanson and Charles Martel developed the Library of Congress Classification System (LCC)? ... that Class E-F (American history and geography) were the first Library of Congress Classification (LCC) schedules to be published? ... that Committee number "MSD 5" having the name "Documentation and Information" is the name of the committee responsible for Indian standards related to libraries? ... that a Computer is an electronic calculating machine. It is a device for storing, processing, and displaying information? ... that the use of computers in the functions, activities, and services in libraries is called Library Automation? ... that research is an effort to discover, develop, and verify knowledge? ... that the term Library is made of the Latin word "Liber" meaning “book”?